Hey everyone so I got around to watching the 2017 film reboot of Power Rangers. I’m sure on paper a lot of people rolled their eyes at the idea especially since Platinum Dunes was involved. To me while it is certainly not a good movie it is far better than I expected it to be and I was entertained by it. Most of the acting was actually alright with probably the best actor going to Bryan Cranston as Zordon. I find it cool to see him return to something he did early in his career. Directing was competent, no real complaints there. Lastly I actually didn’t mind most of the redesigns they did here. The ranger suits actually do like armor, and the putties don’t just look like nameless mooks in obvious spandex but like monsters. While it does have some positives going for it, the movie does have some problems. I never was able to take Elizabeth Banks portrayal of Rita Repulsa seriously. Now don’t get me wrong Rita was just about impossible to take seriously in the original show, but here it’s a darker take on the character and Elizabeth Banks just seems to be overacting here so I didn’t find her all that menacing, which did at times give me tone whiplash. Furthermore the CGI especially for Goldar looks rather bad considering this movie had from what I gathered over $100 million budget it looks rather inexcusable. Lastly I wasn’t a huge fan of the design of the Megazord, I’m all for redesigning something when you’re doing your own version of a franchise, but the Megazord just looked like a generic giant robot to me. Overall Power Rangers (2017) was definitely a surprise, while again it isn’t a good movie it was much better than I thought, and I had a bit of fun with it. I don’t think this movie is worth buying, but if it’s on cable and nothing is on it’s a harmless enough diversion for 2 hours. 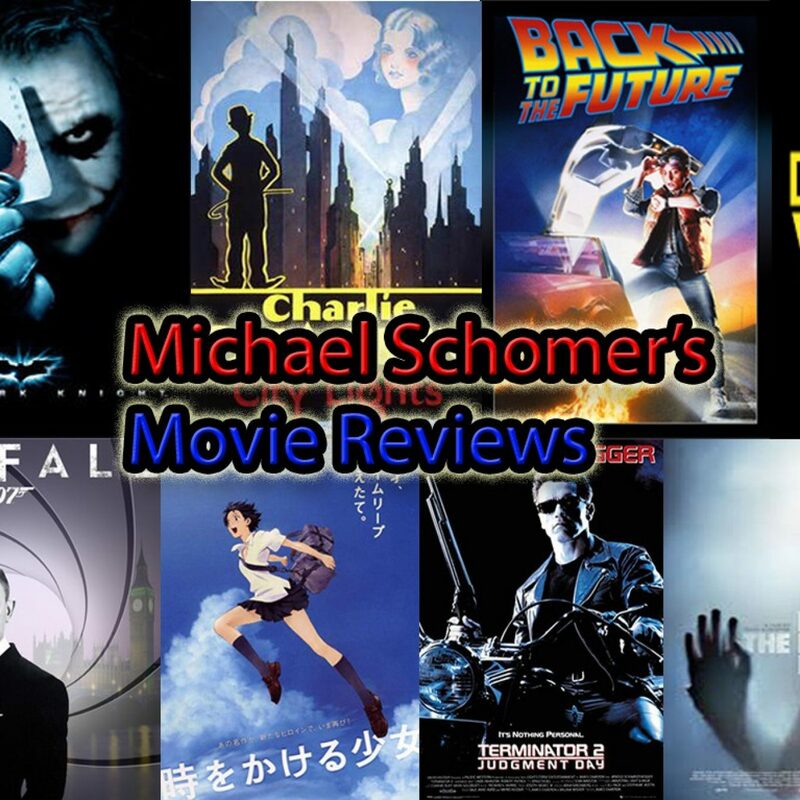 This has been Michael Schomer and I’ll see you all next time.